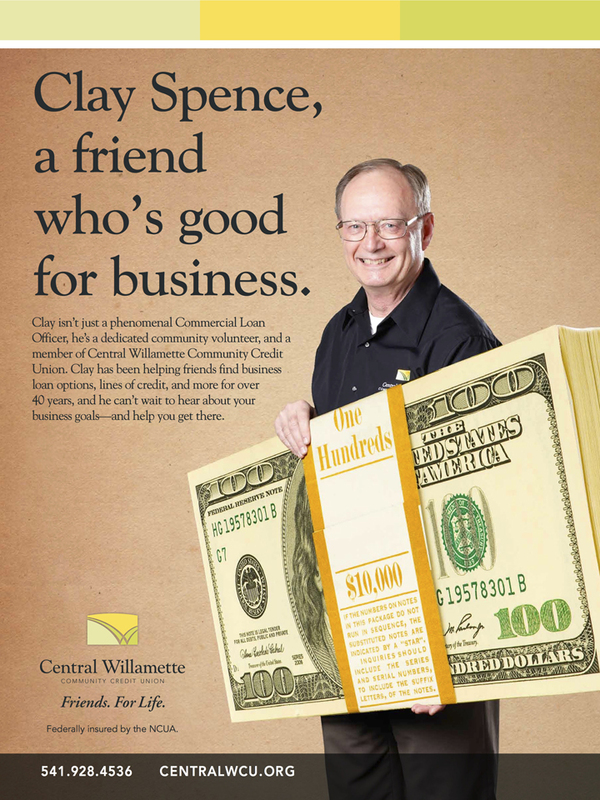 To reinforce Central Willamette's tagline of "Friends. For Life." 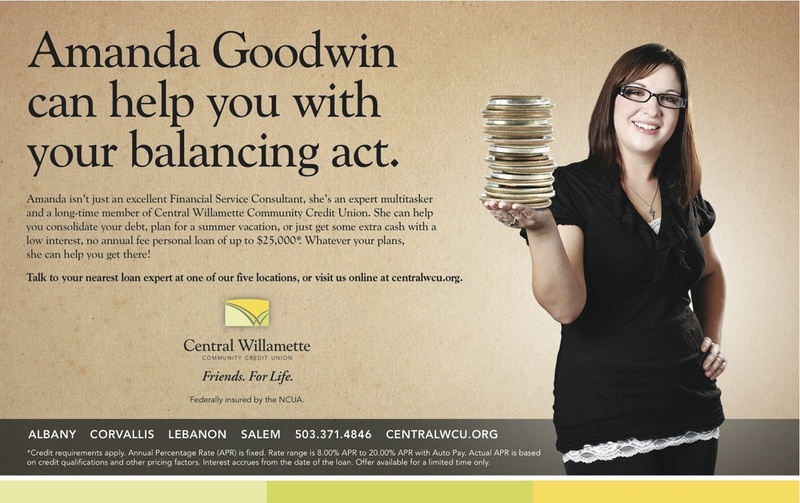 this campaign used radio and print ads to focus on the staff of the credit union, highlighting the many ways they go above and beyond providing friendly financial services. Just wanted to share a funny story I had with one of our members. She came in to me looking for Clay [Spence, pictured below]. She had cut his picture out of the statement and was carrying it around in a baggy. She said that she read the paragraph about him and was sure that that’s who she wanted to work with. He just sounded like such a nice guy and he looked trustworthy. She did not have a business and it took some convincing that she did not in fact need to work with Clay. She finally settled for me, but it was interesting how much she connected with Clay just by what was written.